The Prestige will insure you that your shape is unique. This artistic shape is hand crafted so you know that your crystal is one of a kind. 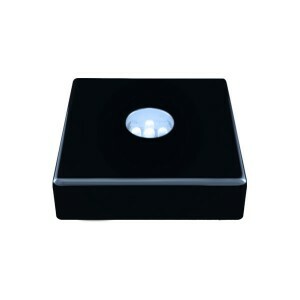 Crystal Dimensions: 4.25" X 5" X 2.36"
Present a unique prestige crystal to your dear one on his/her special day. The hand crafted crystal is one-of-its-kind and uniquely shaped to customized dimensions as per requirement. A brilliant way to present this crystal is to get it mounted on on LED base and engraved with dear one's best photo for the long lasting memories.